Follow the latest Weather news, videos, and analysis from ABC News. Tornadoes touch down and heavy rains cause flash floods. 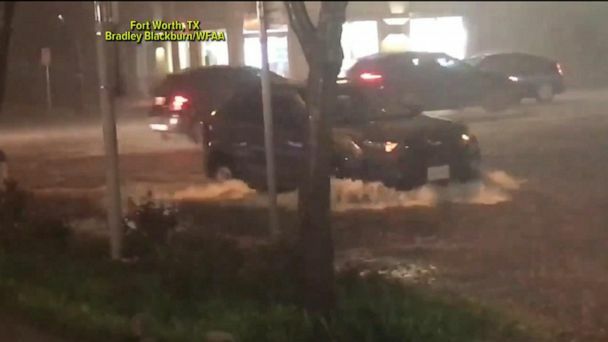 ABC News' Marcus Moore reports from Texas, where tornadoes reportedly touched down amid pounding rain that sparked fears of flash flooding. A line of severe storms, up to a half foot of rain, drenching Central Texas and causing flash flooding. ABC News Senior Meteorologist Rob Marciano tracks the latest weather patterns across the country. Texas is expecting heavy rain the next several days. 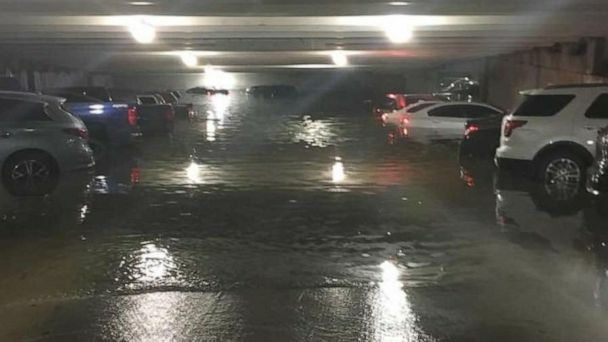 A complex storm system is moving from the Rockies into the central U.S., stretching from the Midwest into the southern Plains, threatening Texas and the Great Lakes with severe weather and flooding. Parts of Texas could see 5 inches of rain this week. A severe storm system that produced tornadoes and flooding also claimed the life of a young girl in Florida. 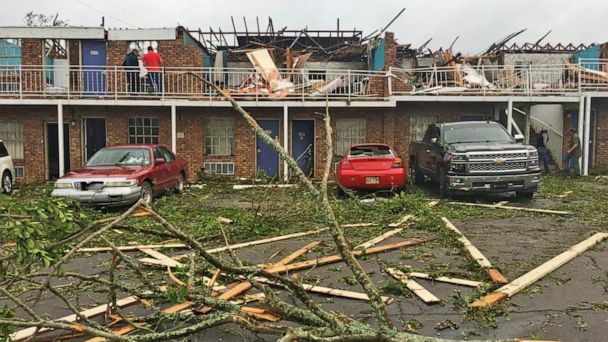 A strong storm system barreling through the South on Friday killed an 8-year-old girl in Florida and threatened to bring tornadoes to large parts of the Carolinas and Virginia. ABC News Chief Meteorologist Ginger Zee tracks the latest deadly storm as millions in the East brace for the storm to hit. Tornado sirens warned families to take cover in Mississippi, while baseball-sized hail hit parts of Texas. ABC News chief meteorologist Ginger Zee tracks the path of a new round of severe storms that are heading east. A funnel cloud was captured on video over Shamrock, Texas, and hail as well as damaging winds were possible in Dallas. 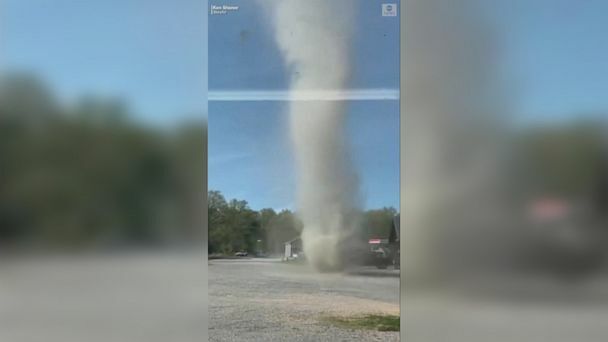 Tens of millions of people are in the path of possible tornadoes, high winds and hail as a major storm moves across the country. 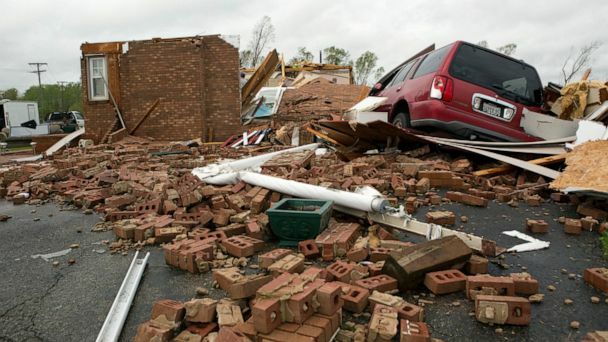 Over the weekend, 41 tornadoes were confirmed in nine states. ABC News' Marcus Moore reports from Texas, where an EF-3 tornado in the town of Franklin left a path of destruction and thousands of residents without power. 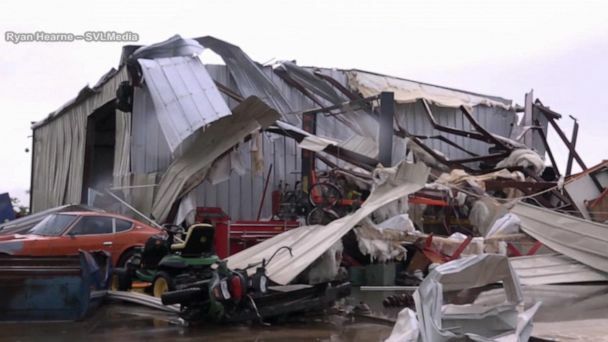 More than two dozen reported tornadoes touched down from Ohio to Texas, killing at least eight people. ABC News' Janai Norman reports. 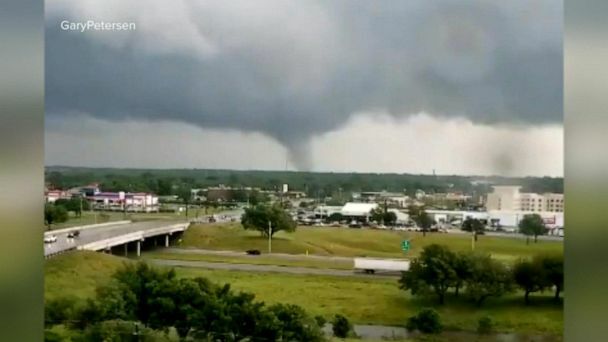 Over the weekend, more than 20 tornadoes were reported over five states. Lightning strikes the Burj Khalifa in Dubai - the world's tallest building - as a storm passed over. ABC News Senior Meteorologist Rob Marciano tracks the latest weather conditions across the country. A 3- and 8-year-old were trapped inside a car that was crushed by a tree and was pronounced dead on the scene, police said. Over 120,000 people are without power between Louisiana and Texas. Several states facing a risk of dangerous thunderstorms and possibly tornadoes. Weather threats continue to move through Texas as tornado sirens sound warnings in Ohio, as ominous clouds cover the area. ABC News' Alex Perez reports from Saint Cloud, Minnesota, one area hit by a blizzard that brought snow and white-out conditions, wreaking havoc on travel. 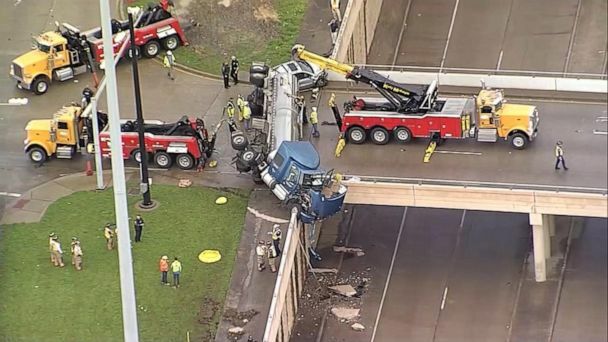 Truck drivers are among the many groups of people who are being affected by the April storm, which has caused interstate closures in Sioux Falls, South Dakota. Residents in Minnesota faced treacherous driving, tens of thousands had no power and thousands of flights were canceled. 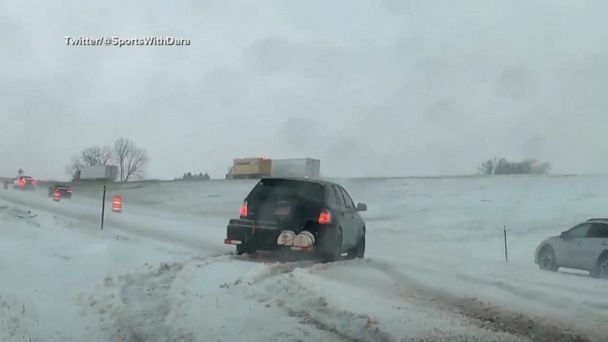 22 states are under warning as storm brings blizzards, heavy winds to the Plains states. ABC News chief meteorologist Ginger Zee tracks the latest storm path and temperatures across the country. The storm is threatening 22 states, including South Dakota, where white-out conditions shut down a major interstate for 100 miles. An April snowstorm is rolling in and prompted blizzard warnings in many states in the Rockies and Plains, with South Dakota expecting 20 inches of snow by Friday.